What is the breakthrough point for authors? ‘What’s their breaking point?’ is also a good question. Certainly every author has to confront a moment where they admit failure, where they believe their book won’t go any further than it has gone. Some authors throw in the towel immediately upon publication, while others take months or even years before they give up on any dreams of the book selling a lot of copies, being turned into a movie, or getting major awards or an avalanche of media praise. Each author will need to make that choice, the one where they determine it no longer pays to promote, market, or advertise a book – not in money and resources, not in time, and not in mindshare. They simply walk away from the book they enjoyed writing and believed in so much. Sometimes a book dies slowly – and the author is even slower to realize that its death has occurred. The post-mortem review may help them make the next book become more successful – or it may just frustrate the author who thinks the world is against him unfairly. But what about the breakthrough point – what is it and how does one get there? How many books must be sold over what time period – and how many awards, positive reviews, or social media views constitute a real success? One might say you’ll know when you’ve broken through -- you’ll know it when you see it – or would you? Exactly how many books do you need to sell to feel you “made it”? How many positive book reviews or clicks on your website will necessitate you to believe you have crossed a threshold of success? Is there a metric to hit – or is it just a gut feeling that one gets to indicate success? Some things will be obvious. · If you hit a best-seller list, you broke through. · If you got a positive review in several major publications, you broke through. · If you sold 10,000 copies in the first six months of publication, you broke through. · If your website traffic is getting tens of thousands of hits each month, you broke through. You’ve made it when people say your book impacted them, when strangers contact you looking to have you speak before their company or group, when major media outlets seek you out for interviews, when you sell 50,000 + copies in a year, when people start to recognize you, when your book is published in foreign languages, when the right to your story gets sold to Hollywood, and when publishers bid on your next book. The spectrum from breaking point to a breakthrough is seemingly broad and wide, but sometimes it comes down to a little extra hard work, a little more creativity, a little more persuasion, and a few lucky breaks -- and one goes from being an also-ran, maybe even a bust, to a winner. There’s no formula for any of this. Some things that authors do or fail to do seem to almost assure them of failure or success, but the truth is that so many different things have to happen for a book’s direction to be clear. It starts with the writer’s attitude and energy to relentlessly market. It has to do with the savvy and connected people a writer hires or collaborates with. It has to do with the quality of a book, its price, distribution, competition, and timeliness. It has to do with stuff that makes no sense, is contradictory to all that we know or believe, and just surprises us. You control what you can, for as long as you can, and the rest is up to fate. Lean on your assets. Is it time? Money? Creativity? Energy? Your power to persuade? Connections who owe you favors? Your ability to borrow or trade? To have a breakthrough you must assert yourself and go beyond your means to live your dream. Most people discover their breaking point, but fewer find out how to break through. Where will you end up? 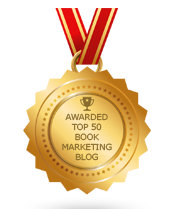 Have You Set Your Book Marketing Goals? Do authors have the right attitude to succeed at book marketing? What Is The Source of Great Writing? Where Do Dead Words Go? What Shape Is The Book Industry In? Is This The Future Of Books & Technology?